Nang by Nang is a touching account of the life story of a woman by the name of Nang, born 93 years ago, who overcame numerous struggles throughout her life to eventually serve as a wonderful source of inspiration. Nang was born in the humble village of Basse Terre and raised by her grandparents in Port-of-Spain, Trinidad and Tobago. The film follows Nang as she relates her story of the many different places she lived in during her life. From Venezuela, to New York, to New Mexico, director Richard Fung (a first cousin to Nang) attempted throughout the film to take her to different locations she recalled from her childhood. Although some locations she visited seemed a blur to her, Nang was still capable of pin pointing several landmarks. What is amazing is that despite her own fading memory younger residents who grew up alongside her recalled Nang with fondness and admiration demonstrating the impact she had on others around her. A highlight of the film was witnessing Nang’s dogged resilience in overcoming the many burdens she bore throughout her life. This is seen in her multiple marriages, family issues and her determination to continue as an independent individual. Nang describes her past husbands as ‘liars’ and ‘womanizers’. It was especially impactful that Nang lamented that in her experience with men, a woman’s role was limited to that of a homemaker. But Nang made it clear that she would not live by such archaic tenets. In a sense, she was a feminist long before it was mainstream or vogue to be one. Her life embodies the theme of feminism and its evolution. Nang continued striving to make herself a better, more productive person by furthering her education and being employed at many jobs to make ends meet. We learn that she was even the first photo model for renowned local artist, Geffory Holder. Quite the accomplishment given her circumstances. By the end of the film, I found myself thinking about how lucky I was (as a young woman myself) to see with intimate detail the struggle this woman faced and how she overcame them. Nang’s story was able to be told but how many other women have struggled and suffered nameless and unappreciated? To me, Nang is the embodiment of an unsung feminist icon – and she becomes a powerful symbol in the film, representing the voices of so many unknown women in the long march toward progress. 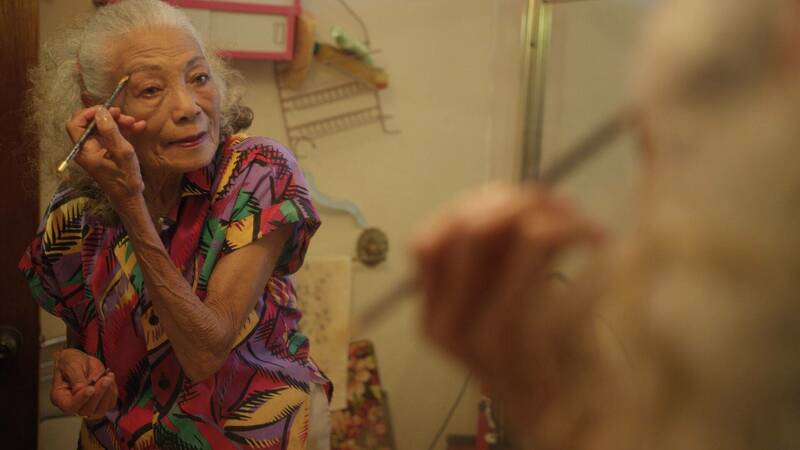 Nang: a human life, an emerging icon, a defiant spirit whose story is now immortalized on film. A film that all persons, especially women, should see.